Last week, The MOMS held a screening for The Hero Of Color City together with Zarbee's Naturals. When I received the invitation to attend this advanced screening, I was Really excited! 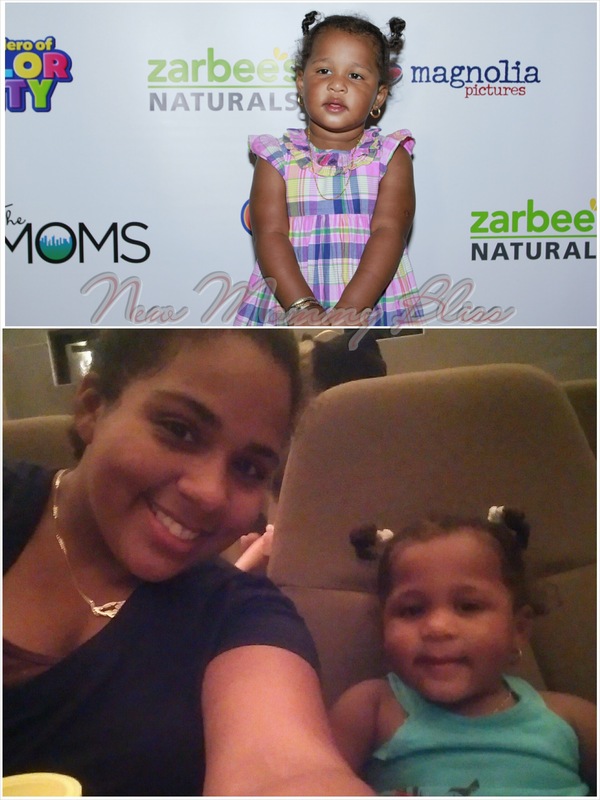 It was the perfect chance to have a Mommy Daughter date with my Gabster. 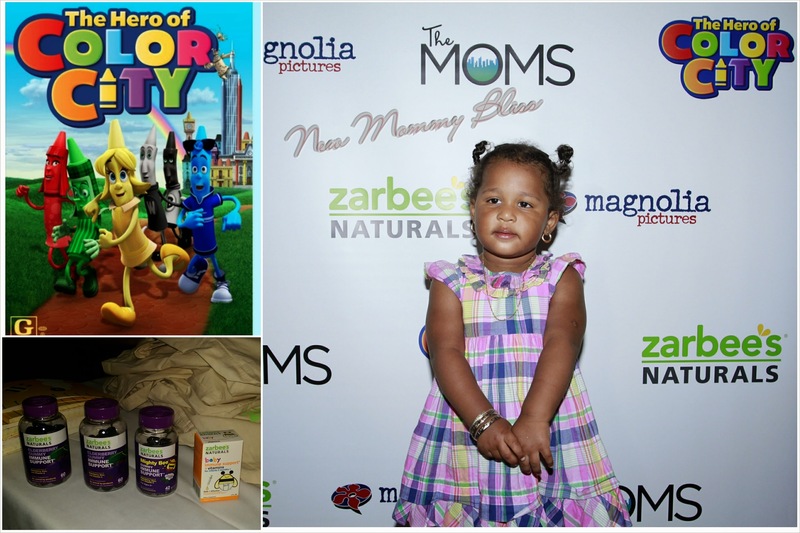 The screening showcased Zarbee’s Naturals, a delicious vitamin supplement and immune support for Adults, kids, and babies! I tried the Elderberry adult gummies and they taste just like candy. Not like other gummy vitamins with that medicinal after taste, but REAL yummy, sweet Candy! As with many of the other Mamarazzi Events, we were treated to yummy Cupcake Bites from Baked By Melissa... as well as some Vita Coco Kids coconut water. Being a movie about crayons you can be sure that this movie will be filled with Vivid and bright colors! More colorfully beautiful than many other animated films out there. It's the perfect film for toddlers and children under 10. I could tell my daughter really enjoyed it since she would babble a lot and say stuff like "Yay" and "wow"! Thanks Melissa and Denise! My family and I always enjoy ourselves with you. The Hero of Color City is available now in theaters, on iTunes, and on demand. That sounds like a cute movie. We plan on taking our kiddo to the movies this weekend. Hope I can find it near me! That sounds so interesting! I love your daughter posing. She's adorable! Sounds like a fun event, thanks for sharing! So cute - makes me wish I had little children still! We have been talking about this movie. It seems so cute.